HCWPSIPARSER.AX is a simple executable program which is present by default in all Windows computers and is used to manage huge files and folders. The program is also responsible for helping the OS to run new software and applications without any hiccups. 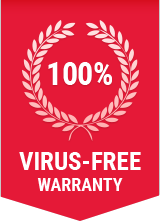 Whenever there is an issue with this, you can confirm that some virus or trojan has deleted or damaged parts of the ax file. Windows will usually get corrupted in this scenario and will not respond properly if the above said file is not readily accessible. It affects all OS versions right from XP, NT, 2000 to the latest Vista and 7 variants. By default, it will only be present in the System32 folder inside Windows folder. As said already, HCWPSIPARSER.AX is not a virus but trojans will try to manipulate this file name and create similar instances of the file in different folders. When you try to run, it will show an error displaying the name which will vary slightly and will most probably be a fake version of the actual file. Consequences are the usual ones including sluggish computer, system crash, error messages and blue screen. Malicious spyware invasion can cause this besides outdated drivers, damaged registry files and improper program removal. Step 5: Comodo Internet Security starts antivirus bases update. It takes sometime to get updated. Step 6: After the update, a Quick scan is executed. Step 7: If threats are found upon completion of scanning, you will be prompted with an alert screen. Step 8: It will clean all malware including HCWPSIPARSER.AX.